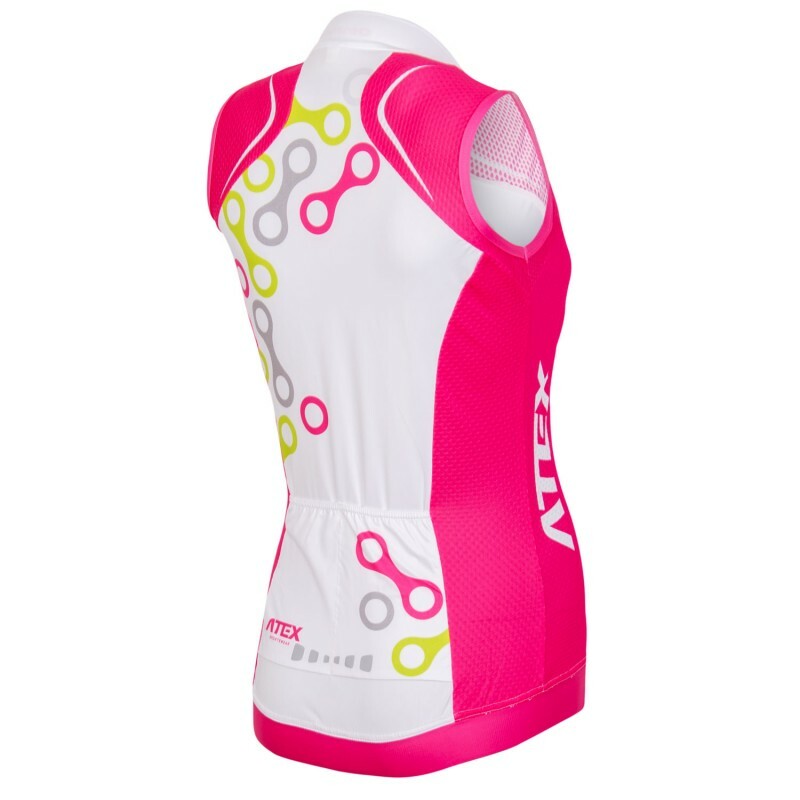 Women's sleeveless cycling jersey ELEMENT is in a close-fitting design and it is made of two different materials: Asteria and Bongo. There is a zip-up with a cap, lowered stand-up collar and two-piece pocket at the back with reflective strip. Jersey is also hemmed with anti-slip elastic. Made in the Czech Republic. Extended 3-year warranty. 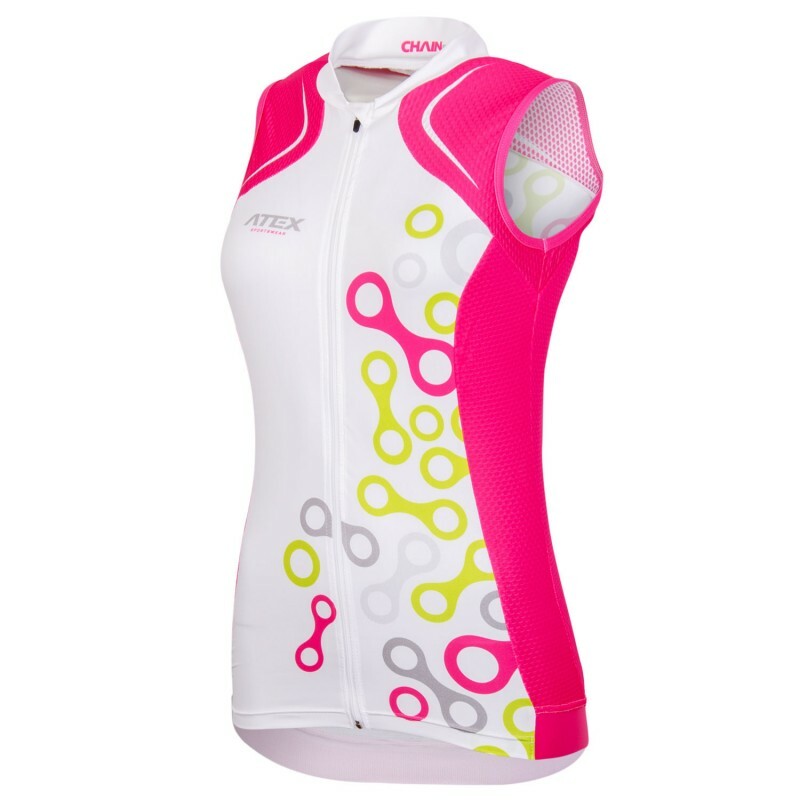 This sportswear is ideal for cycling and in-line skating. Smooth, very stretchy, lightweight and soft material that is resistant to odours and mould. 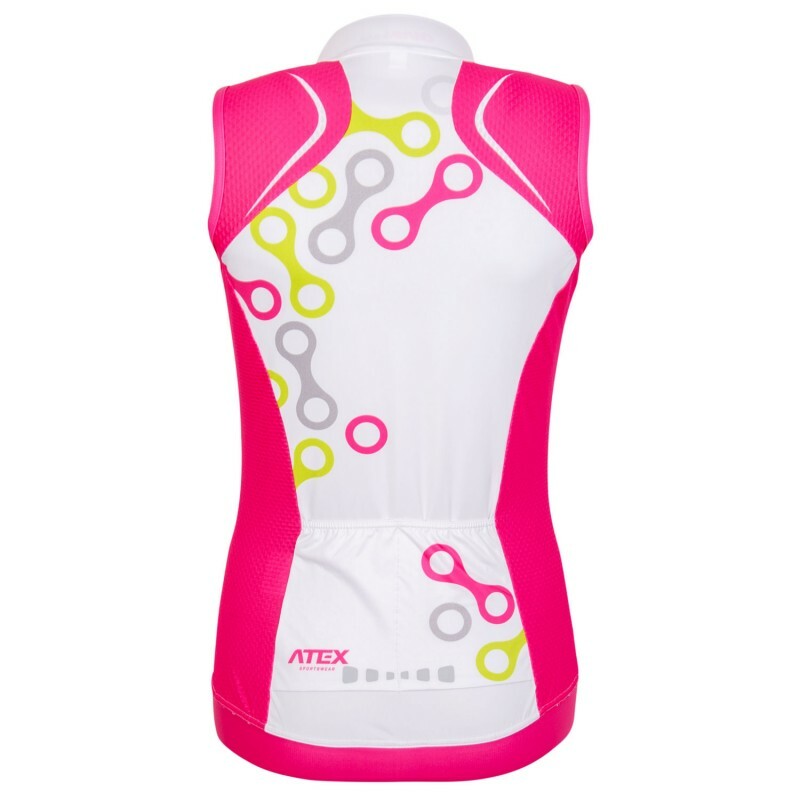 Composition: 80% polyester, 20% elastane Weight: 140 g/m2. 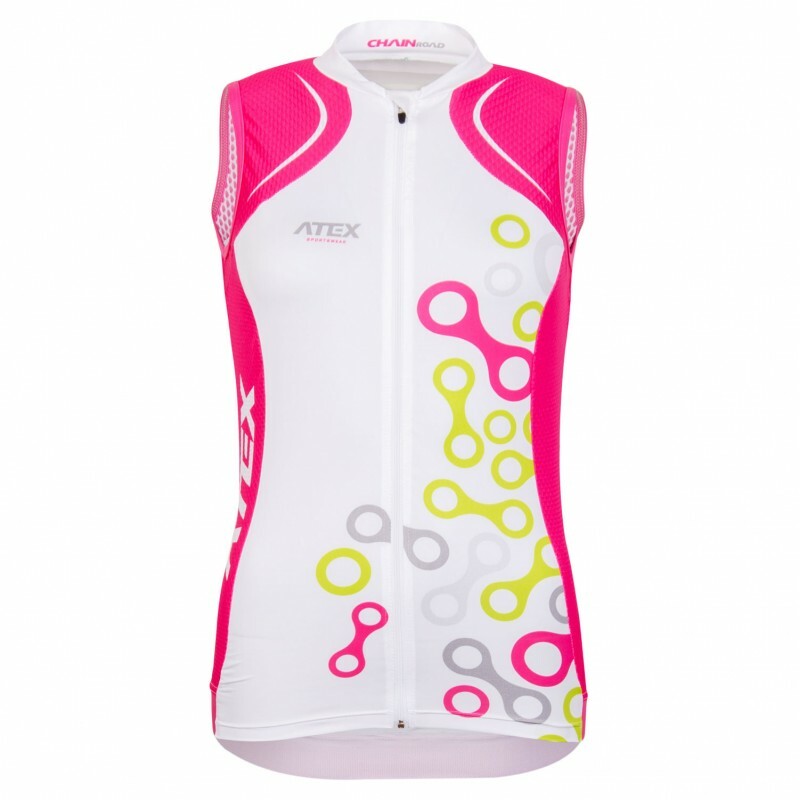 Smooth, quick-drying, light and breathable material with interesting structure. It is slightly stretchy.